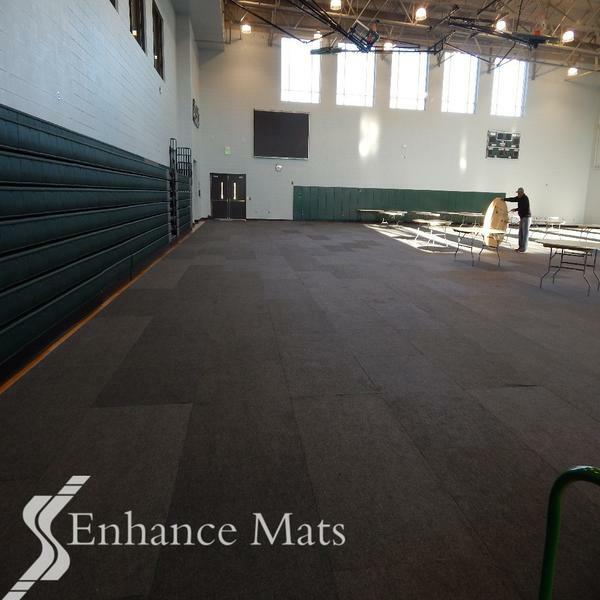 GYMPRO ECO TILE is the tile gym floor cover that turns your facility into a multi function activity center with ease! 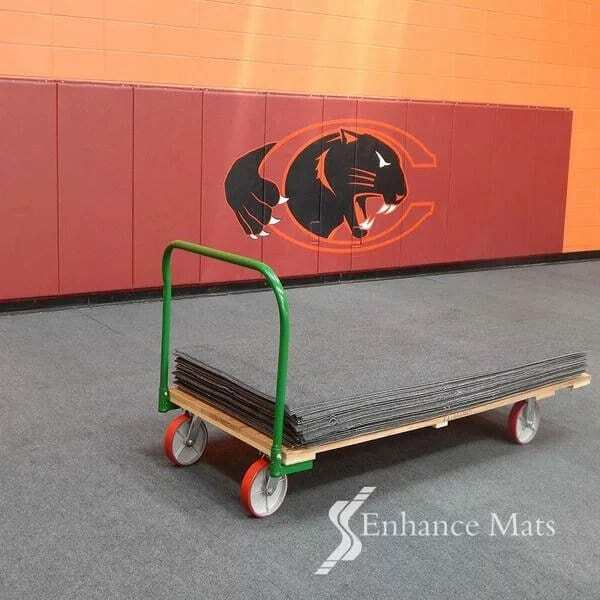 Save labor and time with a durable tile that weighs less than the competitors, making deployment and take up faster and easier! 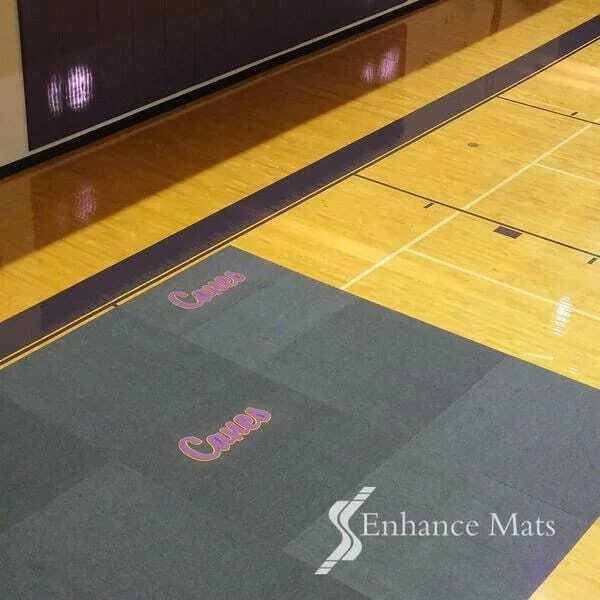 Set up your gym floor protection in record time, with ease. 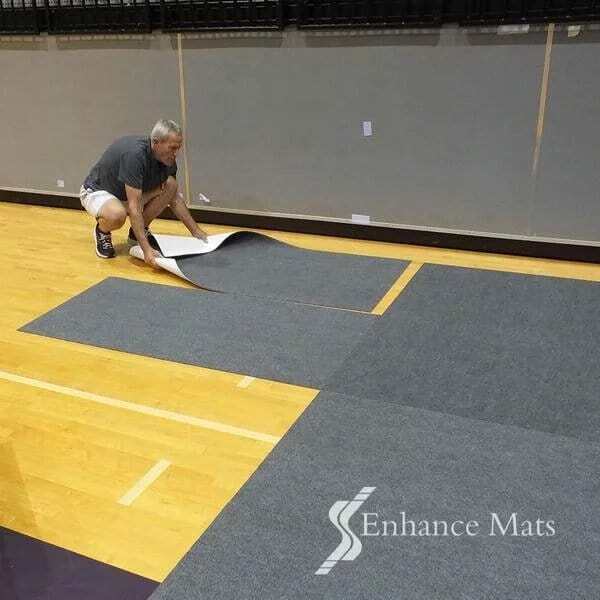 It requires no expensive seaming tape, no learning curve, and no bulky racking systems. 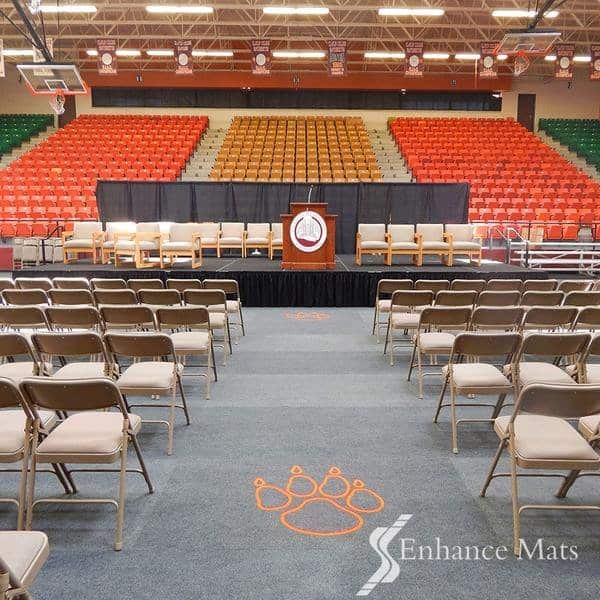 Extremely durable , slip resistant carpet top cloth, is virtually stain resistant, This is the best looking floor covering protection and it dampens noise with the carpet surface. 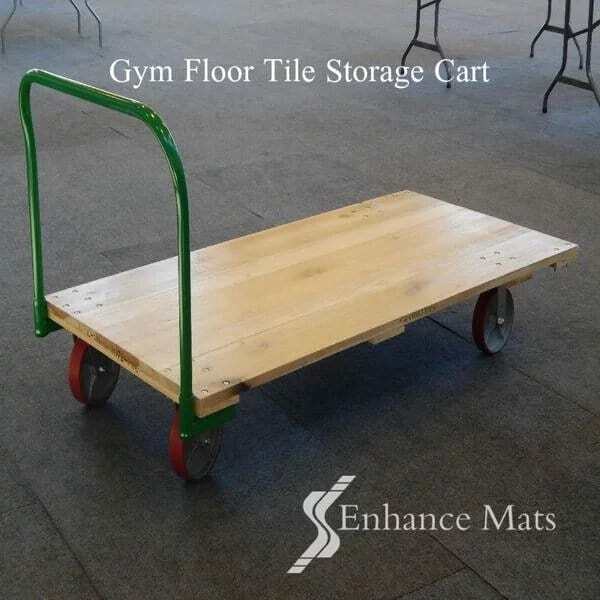 Turn any gym or facility into a special event area quickly and easily, and simply store the tile on compact and easy to transport platform trucks. 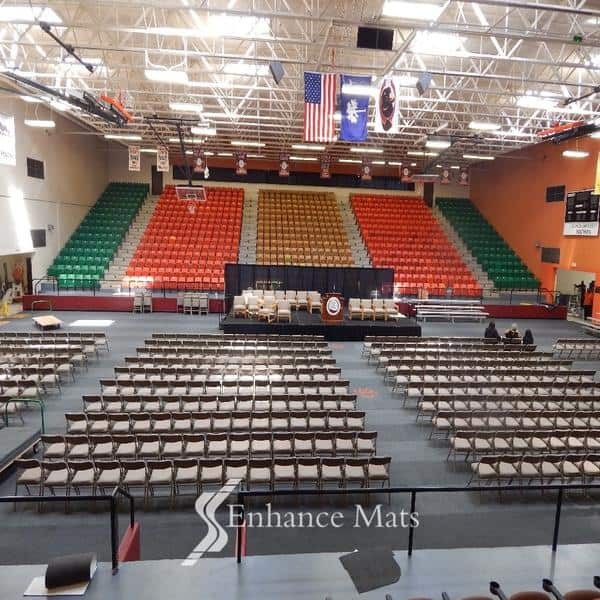 When your Gym Floor Cover is not full deployed, you can utilize your GymPro Eco Tiles under the player’s chairs or in front of the bleachers for basketball games to protect the floor. 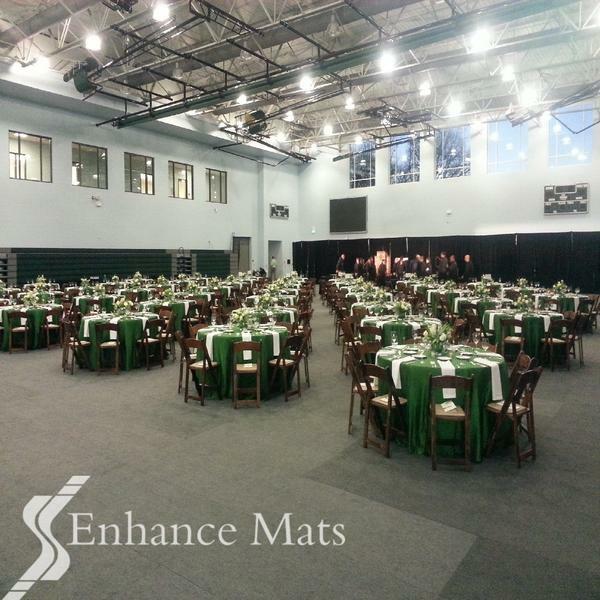 They can be used everyday and anywhere in your building that floor protection is needed. 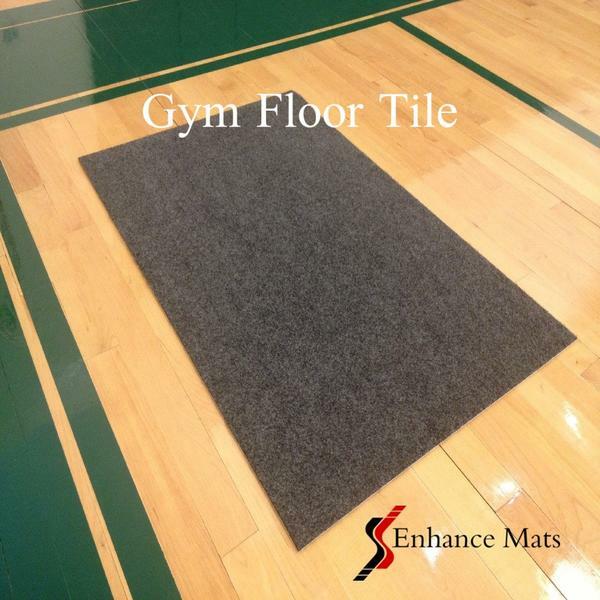 Only 8.2 Pounds per Tile!